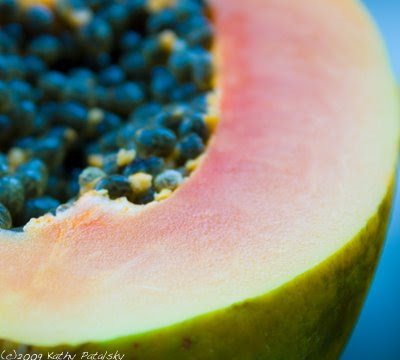 Super Food: Papaya. Vit. C, Papain, Potassium Rich. 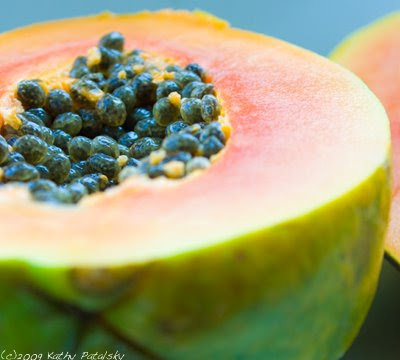 Papaya and Papain. 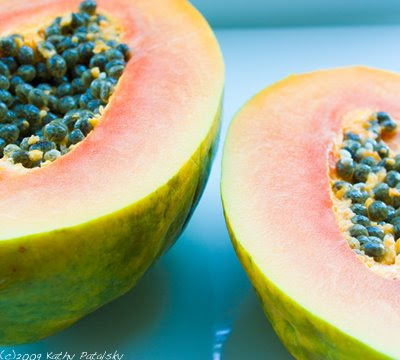 Papain is the enzyme found in papaya. Healthy Pinkness. 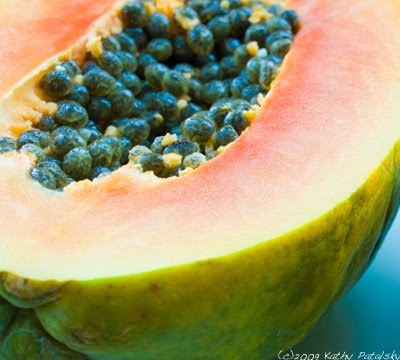 Papaya is an incredibly healthy fruit for the high amounts of papain that it contains. 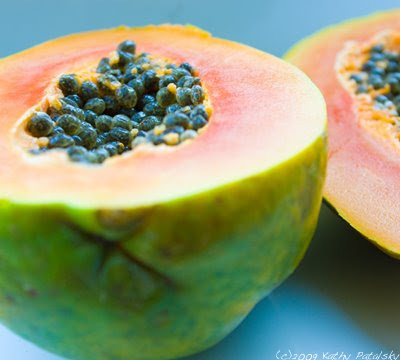 Papain is right up there with bromelain from pineapples when it comes to high quality fruit enzymes. Papain aides in digestion, and has been shown to assist in a wide variety of body functions from clearing up allergies to calming skin issues. 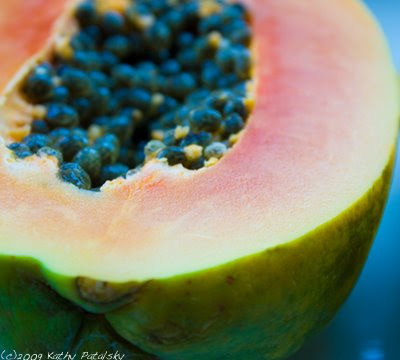 I recommend eating papaya first thing in the morning on an empty stomach and with no other food. Papaya digests very quickly, and thus should be eaten alone. 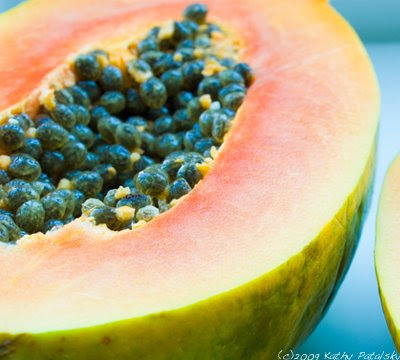 As you'll find below, papaya is low in calories, yet nutrient dense. And the high water content make it a hydrating fruit for warm and dry days, seasonal eating. Nutrition Facts Summary: Papaya is low in calories, fat-free, high in vitamins A and C. High in potassium. And a great source of vitamins K and E. It is even a good source of fiber. 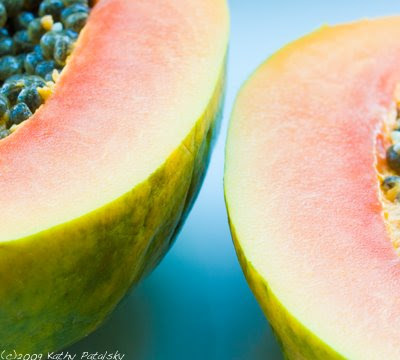 Papaya: super food. Get some!